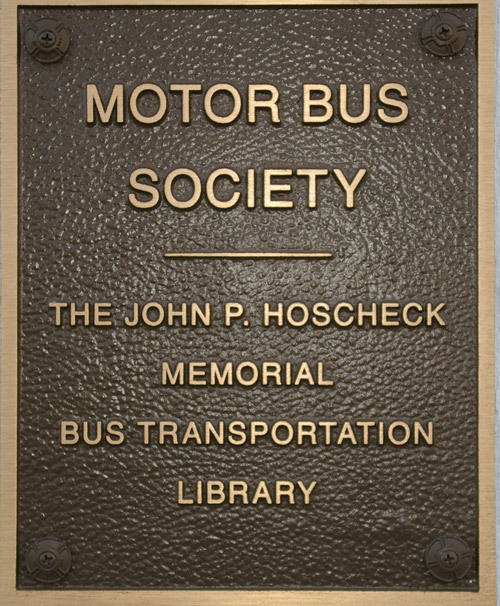 The John P. Hoscheck Memorial Bus Transportation Archive of the Motor Bus Society is one of just a few archives in North America dedicated to the preserving the history of the motor coach & public bus transportation industries. 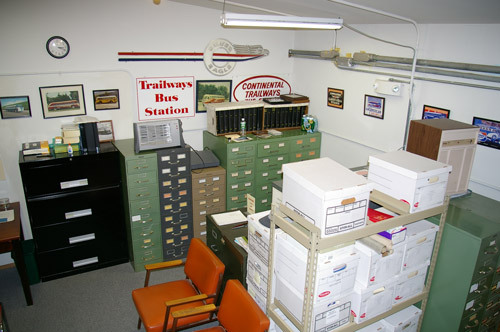 Located in central New Jersey, near the state capital of Trenton, today the archive maintains an extensive collection of materials covering many aspects of the development and operation of buses throughout the current and last centuries. The archive is named for the late John P. Hoscheck, who maintained the original MBS Library collection within his home for many years. 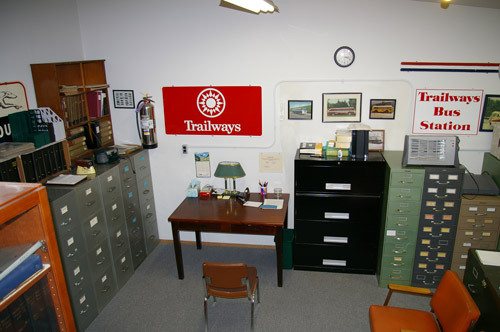 Through the countless of hours of our dedicated MBS member volunteers and generous benefactors, we have collected tens of thousands of photographs, timetables, catalogues, historical documents, planning briefs, news clippings covering the hundreds of bus companies, public transit operators and bus & coach manufacturers worldwide. Our collection is systematically arranged for serious study. We also maintain an extensive printed reference section which includes Russell's Guides, service manuals and many books written on the bus industry. 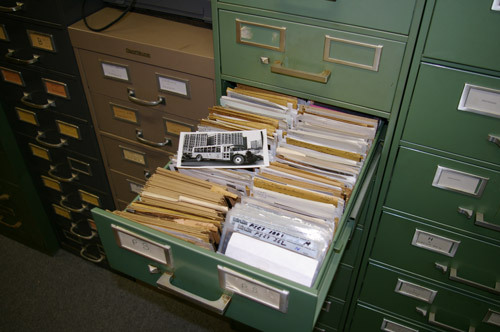 Access to the MBS Archive is available on a limited basis to only active and emeritus members of the Motor Bus Society. To arrange for a visit to or if you wish to donate to the MBS Archive, contact the MBS Archive Committee at library@motorbussociety.org. For members of the general public, requests for archival research and copy/reproduction services are available with small donation to the MBS. Since all research is conducted by MBS part-time volunteers, please allow 8-12 weeks for the MBS Archive staff to complete all research requests. Contact the MBS Archive Committee at the e-mail address above for additional information, to submit a research request.